Welcome to my portfolio! Your here. So, that means you already know why but not yet who. Click the images to see more details and filter them using the navigation bar. 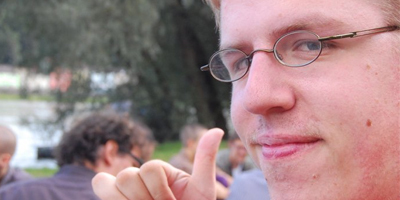 Hi, If you didn't notice it yet... My name is Joost Elfering and I'm a Dutch web-designer/developer. I was born in 1985. The year of Ms Windows 1.0, the GNU Manifest, foundation of the FSF and the movie "Back to the future". I was born into a new technological world on the move. The technology grew, so did I. Technology has always been something central in my life. At the age of five I had my first contact with a computer and at seven we got our first home computer in the family. Other technology like tv's, audio installations and other gadgets always interested me. I like to be an ealy adopter and tinker with new toys. Technology is only part of what I do. Design is also part of my heritage. My family has an artistic history of painters, sculpters and architects. I also have some of those genomes. My direct artistic link is my father who was an amateur Art painter. My own artistic interest started with simple drawing to relax me. Combining both these passions turned me into that what I am today. The crosspoint of technology and design, UX design. In my life I am curious, ambitious and driven to reach my personal goals. My own Passion became part my work. My employers and projects have always reflected my personal interests. I try to find work where I can give myself the full 100% and beyond. To fit me best the project either has to do something with technological innovation, some elements of design and maybe even a touch of science. I try to stride towards those goals and create new ideas and innovations as I go along. Allthough I'm relatively young I do have a decent history behind me. It might surprise some but it took me 7 years in total to get an IT bachelor. This is not something I should be proud of... but it is not negative! During my time in College I kinda got bored with it all, I needed a challange! That challenge I found in Joost Technologies. They re-sparked my interest and educated me way beyond what college could ever do. After 2 years I found myself in a situation that lead me back to college earning me my bachelor degree. In the mean time working in IT as I had been doing from even before Joost Technologies. The bachelor was not really the end, I wanted to work on a Masters degree. I have tried media technology at the Leiden university. By the program did not pose enough of a challenge and did not inspire me enough. I have not found another inpiring one yet. My education is not really what defined me as it comes to experience. I've gained more technological knowledge and experience outside of the classrooms then inside them. I've worked as a freelancer since 2006 and before that did mostly free jobs for small orgenizations. I've worked on building 4 social networking applications, two of them with over 1.000.000 users. I've worked on commercial shops, advertizing systems, knowledge management databases, project management tools and many other interesting applications with web technology. I have worked for 5 different employers all with only positive remarks. Next to a relatively large set of programming languages, libraries and frameworks I have also mastered the theoretical IT principle and implemented them. 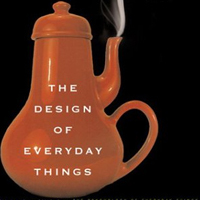 In that set of experience lies experience that deals with technology but also with design. I have done UX research and have worked on special needs websites. I can say with confidence: I'm ready for anything! It not interest everyone... but I do have a small life outside of my job. Even though technology and art are both a part of my personality it doesn't mean I do not like anything else. I like listening to music, play a bit of snooker, do some online gaming and have a racquetball workout. All these things relax me, keep me focussed and entertained. Ever want to play a snooker match? Do come prepaired! In the past I did a lot of gaming. Today that is helping me solve problems faster than normal and it sparked my first interest in computers. Difital painting also came from this early love for games. I started painting mods for cars in GP2 and grew into a digital painter. First creating game related art and later create own creative work. It still relaxes me and give me great satisfaction. 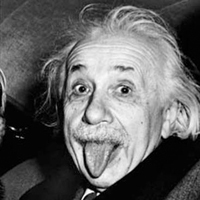 "Information is not knowledge", Albert Einstein once said. I have gathered the information and combined and processed it into knowledge. That knowledge can be divided into three seperate categories: Design, Development and Projects. 1 Design knowledge for me comes from design project I have done, experience and a lot of reading. Design keeps me busy on a daily basis and I'm still learning new things! 2 Development is what I do best. I know about 7 languages in a total of 27 dialects (frameworks, libraries and deviations). I keep myself updated as much as I can. 3 Projects are the core of my business. I know things about management methods but mostly hands-on experience fills my knowledge. I like new ideas, new views and alternatives solutions to existing problems. I have always had a soft spot for the interesting new ideas and ventures. Personally I have created some new ideas and concepts. I have worked in a new type of content management system. Another project I worked on was a location based social network. Maybe the best example is something completely different, I designed a conceptual shoe for a sneeker company. I have a background in science but never really got to the point of choosing my specific field. I am always interested in new thing! I read a lot of feeds and get inspiration for all sorts of new things. I've had a lot of ideas... but not all have reached reality. I either lack experience to create it or do not have the correct connections. But, you know, it keeps me busy and creative! Design & art are both part of my heritage. My father was an ammateur painter and I have a sculptor an architect and two interior decorators in the family. I am the newest generation with artistic blood in the family. 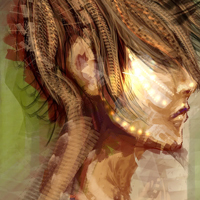 In my personal life I like to create drawings and I like to create digital paintings. I don't really consider myself to be an artist but I have a decent amount of experience in design & art for someone that had no specific schooling for it. My user interaction knowledge is specialized in the area of website and software interaction and cognitive processes. I know a lot about mental modelling and user interaction research. The scientific background in user interaction is supported and enhanced by my background in design, art and art history. Although not part of my bachelor program my highschool had an advance art program that I followed. I try to keep myself up to date on user interaction reseach. Like any other self conscious designer I attend art events and visite exhibits regularly. I didn't really start out as a full fledged programmer. But it became a tool for me to realize my ideas. I could never claim to be the perfect programmer as most of my skills are self taught. 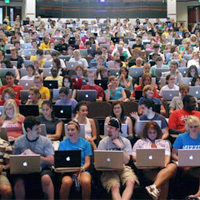 Allthough I do have a IT bachelor it is more of a general program that touches on all areas in IT. 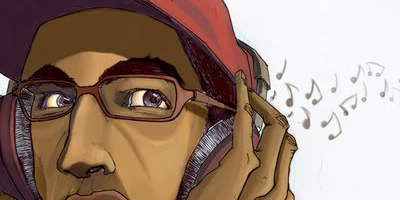 My experience comes from self teaching, experimenting with own projects and during jobs. When it comes to languages, libraries, frameworks and API's I have my fair share of experience. 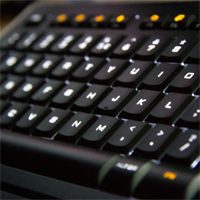 I've worked in PHP, JAVA, C++, C#, Ruby, Perl and Python as languages. But most thing I do involve libraries, API's and frameworks to provide a base to work with. As I mostly work in the web area it is only natural to be an advocate of open source and open standards. The web is completely build around the principle! 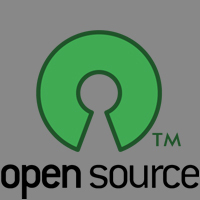 Personally I have a strong prefference about open software as a way to help out the world. I do see the need for commercial and closed source software in some situation. But I could recommend open software for almost any other situation. What do I do myself? 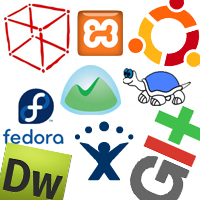 I use a lot of open software, not only the standards like html, rss, json but also languages like PHP and Ruby. Open software like Google wave makes me proud to be part of a community! 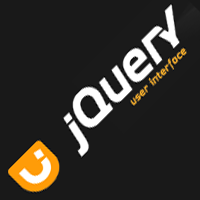 I have worked on open source php projects, a ruby gem project and some projects in jQuery. Next to some of my own projects I do some work on the Fedora project as a designer. You need to earn a living. I do that by doing short projects on a freelance basis, longer projects and ventures. For me an interesting commercial project might not always be about money. I work because I like what I do and I'm a freak for new ideas. I try to rate my options based on innovation, solidity of idea, personal connection and of course commercial value. I always try to get the best results for my clients and employers even if that does not directly involve me. Longer projects and ventures are the bases of my work. 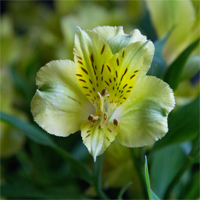 I try to take one larger project and plan the smaller projects freelance around it. Flexibility is my strength! As a freelancer I work on a very flexible bases. You have a problem... I solve it one problem at a time. I provide a full service and you have no strings to worry about. 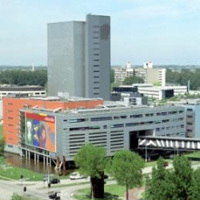 TNO is the "Netherlands Organisation for Applied Scientific Research". Although not my longest and most involved employer they were important to me. They taught me to write papers, do proper research and they provided me with an in depth experience in UX design and development. So, What's the "Quality of Life"? Well that is the section I worked for. The section focussed on research towards the health of people. More specifically I worked for a department that did falling related research. My assignment was to improve a website built to inform the elderly how to prevent falling. 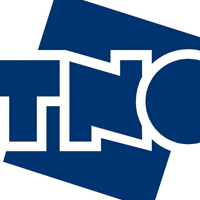 During my stay I needed to write research papers, proposals and all the other paperwork that comes with an organisation like TNO. I also assisted in doing some of the research and I ded some development on the website itself. Next to longer running projects I do freelance jobs. These small projects are scoped out and have as goal to solve small problems for a larger project. The services I provide are based on my knowledge and experience. I Develop, Design and give consultancies. 1 As a developer I can help realize a specific part of your software. My specialty in web technology makes me ideal for web-based systems. 2 Designing interfaces is what I can do best for an organization. 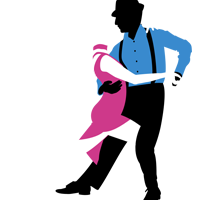 I can also provide corperate design elements together with web and application design. 3 Consulting is almost always part of what I do in design and development. I can provide in depth advice for technological and design decisions. As a freelancer I would appriciate it if you would check through a small list of requirements. 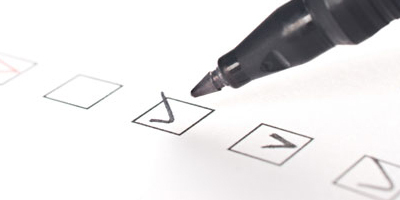 It is harder for me to assess your needs if I do not have all the information. A Scope: I need to know the size of your project and what is required of me. I get too many calls for a designer for something, be more specific! B Budget: I would like to know if there is any budget avaliable for the project. 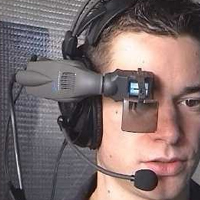 Together with the scope I can determine if the project is feasable. 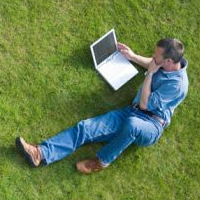 C Planning: I am a flexible worker but I am still a busy bee. I will most likely need to plan for your project. Please provide me with a deadline I could plan for. I get contacted a lot and from all different places. I cannot meet with everyone in person directly due to my schedule and other factors. I am however avaliable for video and audio conferencing. Provide me with enough information and I will try to get back in contact with you as soon as I can. From that contact we can determine what route to take. 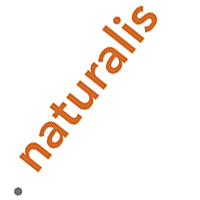 For me naturalis was one of the most unusual projects I have done. Not because of the technology but because of the environment it got used in. Together with some fellow students I got contacted to set up a video conferencing system. This system was to be used to bring the experts from the museum into the classrooms of grade-schools accross the country. This project would not just bring the people to students who would normally get a change to talk to them. It also provides a great look behind the scenes of the museaum. Bringing the students into the archive and into the disection chambers would not have been possible in any other way! On your left a introduction video to show you what the project group has achieved. Do not that the video is in Dutch and created after the naturalis setup was also implemented at the seal rescue center "Eco maren". We provided the technology on the first test sessions and helped to define the basic procedures for setting up a connection. During the project we went to schools to assess available material and to talk to teachers about their experience. We talked to conferencing system providers about possibillities and test setups. We also ran the first project technically at the first school session and the dissection chamber. My role in the project was that of project leader. I facilitated my team so they could make the deadlines and have successful first test. A few months after the test period I got asked to give a talk to other museums about how it could work for them. 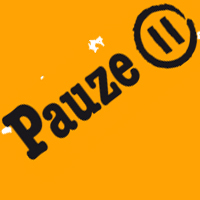 The magazine Pauze was my first employer. It was an internship that turned into a job within 6 weeks. The magazine was run by a small team that produced online and printed content. The technical part of the website was done by one person when I arrived, I was hired to support him. The situation was stressful and resulted in the departure of the technical employee at the magazine. I needed to fill the gap, and I did! I moved the office maintenence to a service company, moved the website and migrated the website from ASP to PHP. Even though it was an internship spot for 5 months it felt like a full-time job. I had the highest grade possible on that specific internship. I have been in the academic circuit for about 8 years. It took me a while to get through it. It took 7 years in total for me to get my Bachelor. This might seem a bit long but I had a 2 year period in between where I worked for Joost Technologies and I took 1,5 year to work on other projects outside of college. 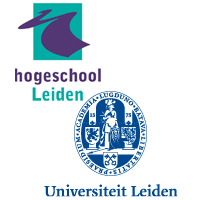 After my Bachelor from the Hogeschool Leiden I tried to attend a Master program at the Leiden University. I attended the Master media technology for half a year but discovered that the program could not satisfy my thirst for new knowledge. Although the master was not A direct success for me it did bring me a lot in new contacts. I volunteered for the Human-Robot Personal Relationships conference in 2010 and went to Ars Electronica festival for the first time. All together it was an good and inspirational experience for me en though it was not a perfect fit. 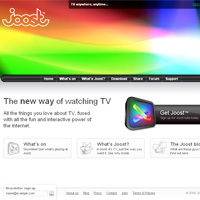 I've worked as a web designer for joost.com. 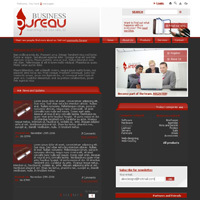 In the two years I have worked on the client and the website. I started out as a UI researcher and moved to the web-team as the website was expanding. As a web-designer I worked on designing promotions, parts of the site, coding designs into fully compatible html/css pages and doing some minor middle-ware programming. My work on the client was mostly research and a bit of design work. The company did not fair very well up to now. I was asked to leave the company due to budget cuts in December 2008. I had a great time at joost and I've gained a lot of knowledge, contacts and friends! Maybe a nice side-joke... I joined Joost Technologies when it was still called the Venice project. Was it called after me? No, not really but it was still a nice running gag! Operator Groep Delft (OGD) was my last long time project. 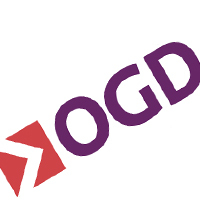 From origin it is a consultancy company that does consulting and service providing. 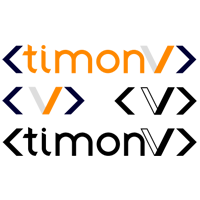 They provide helpdesk, operators, management and software development solutions to a large client base in the Netherlands. Within OGD I worked on an in-house project called 'Terminal'. I joined the company specifically for that project. It is currently being released as 'Coconut'. It is a web-based social business tool. Coconut is being build in Ruby on Rails and served as a learning project next to the launching of this product. The company has grown a lot through this project. My role within the project is as a Hybrid front-end and back-end developer. Next to that I provide consultancy and training to improve the software development branch. 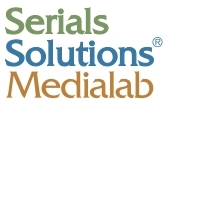 Medialab is part of Serials Solutions. 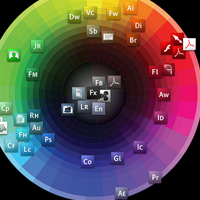 Originally Medialab developed and designed the library discovery layer AquaBrowser. The AquaBrowser allows visitors of the library to search through the library' catalog. Providing search, refine and discover functionalities to hundreds of libraries all over the world. 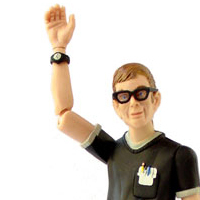 During my stay at SerialsSolutions® Medialab I worked on creating a replacement of the current service. This service was new, different and build to create a complete new kind of offering for libraries across the world. I was the first developer to join the team to work on this new offering. 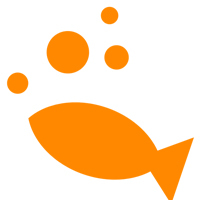 SmallRivers is a start-up based in Lausanne Switzerland that I joined during the first months of 2012. While the team was already going for some time they were looking to strengthen the team with a front-end engineer, I was fit and ready to fill that position. 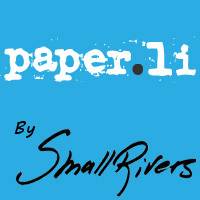 SmallRivers has been mainly working on the website paper.li, a content curation service. 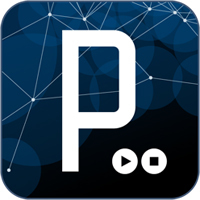 It enables people to publish newspapers based on topics they like and treat their readers to fresh news, daily. I joined the team in Lausanne for 4 months and I've worked closely with them to move towards the future. This did not pan out to be a long collaboration as our interests and ideas were very different on many layers. Although the time was short and fun I could not find myself in the direction we were going. All good fun but not at any price. 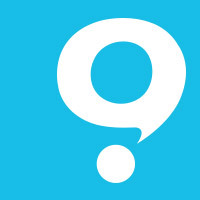 Quipper Limited is a London based company that is building an e-learning platform. Mainly focussing on the mobile market and the younger demographic you would normally say it's not my business. But e-learning is part of my heritage, as a son from two teachers I had my teaching background. Personally I find education and learning new thing very important. Quipper is making applications for people to do it. I worked on anything that is related to the web. Especially the web and back-end related areas. Even though mobile is normally not my platform I got myself involved into that as well. Next to that I was able to use my design skills again for once, as a true piñata should. After a year working at Quipper I had done what I could and took my leave to focus on OWNR. 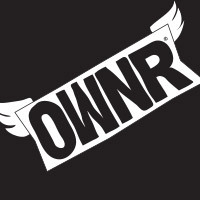 OWNR is my current pet project. After doing a small investment into this company by a Dutch snowboarder he contacted me if I might be able game for some more action. My idea? Why not! Solid idea, business plan looked solid and we could have something gong fairly soon. So that's what we set out to do. Together with Michiel Roukens we set out to in a short amount of time and with limited resources see if we could prove that this idea was worth further development. So, where are we at? The MVP has been released and we've been getting in a lot of feedback. We're looking for investment to expand the functionality and scale. If your interested in investing, contact Michiel. I'm currently working on Yippie! as my main project. 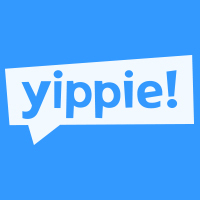 In October of 2014 I joined Yippie! as they just started their program at Startup Bootcamp and just lost their CTO. I was flown in to the resque to save the day. SBC was a great success for us. We're now post-SBC and we've had a whirlwind of a time. Getting funded, expanding the team and growing our user base. Currently we still have a lot of challenges ahead but a bright future shines upon us. My contributions range from coding and buildign apps to team management, documentation and other side activities to help the team. Not just a developer, but also not full-time CTO yet. Want to know more about us or if you're a shop interesting in what we offer, or what we want you to offer us. Get in touch! Gaming has always been a part of my life. It was the first thing I did on a computer! Some people may say that gaming is negative but I've done a lot of stuff beyond just playing games. 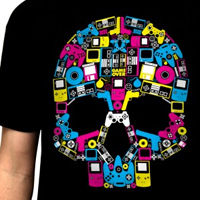 Gaming for me is not only playing the game, it's also organising, contributing, creating and communicating. I never like playing games on my own, I have always been more of a social gamer. 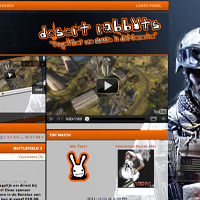 I quickly became involved with gaming communities like the Desert Rabbits and the Dutchclan. In these communities I've organised games and I've created websites and application to accommodate the community. As contributions I have worked on graphics for GP2 and I did some minor work on OpenTTD. In gaming I try to do thing outside as well as inside the game, I like to show creativity. I have an extensive game collection you can see on my Gamespot.com account. 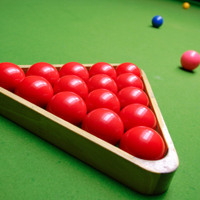 Snooker is my sport, I play in the Dutch competition (KNBB) and I just love to play a couple of frames to relax me. It allows me to focus and forget about the daily stresses of life. Don't see me as a snooker legend, the British snooker circuit would be way too tough for me. A break of 40 is good enough! Snooker is not really a family thing although my talent for the sport does come from my family. My dad's side of the family plays Carom billiards, this is a form of the same family of Cue sports. As in many things I like a challenge and tactics, snooker provides me with both as well as a social night out! Currently I'm playing in the Dutch team competition team called Snookerij 69. I play and train at the Snookerij in Leiden. For me snooker is a way to relax and at most you will find me one night a week at the club either practicing or playing a match. Face it... I'm a bit of a technology geek. I like new tech and new science. As a hobby I do some soldering of my own usign things like an arduino, but nothing really fancy. Technology is just something that interests me, I just like new ideas and concepts. What makes this a valuable hobby? Well I keep myself up to date on a lot of news. That means that I have a good idea what is going on and where we stand in technology. I'm always in for something new and I like to work on and with the latest technologies. Another thing that new technology brings me is new ideas? new technology always induces new concepts and I'm always looking for them. Going into a sealed space, running around a bit hitting a ball as fast as you can... The game is squash! The only sport that has kept me interested the last few years. I've done sports like Judo and Jujutsu but they never really stuck with me. Squash supplies me with a dose of active action, mathematics and tactics. It is also a great way for me to keep in shape, at least for a bit. Physical sports are regularly not my thing. But I do sometimes act as if I like the exercise. 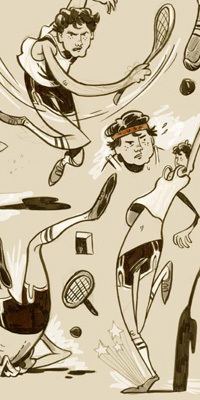 Other physical sports I did or very sporadically still do are skiing, snowboarding, kite-surfing, street-hokey, swimming and sometimes even a small match of football (I'm European so I think you can figure out which one I'm talking about). 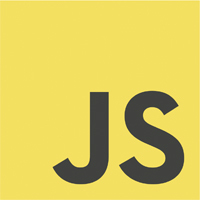 If you want to do anything on the web you will need to do something with front-end programming. If you want to design anything you will need tools. 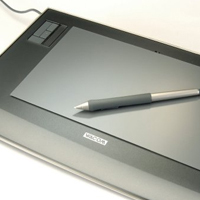 Very simple tools like a pen and paper, but also more complicated tool like modellers and drawing applications. Creating mockups and concepts is something I do on a regular basis so I use some tools to help me. I use Balsamiq for advanced mockups that I first created on paper. On a more advanced level I use MS Visio and DBDesigner for database design. 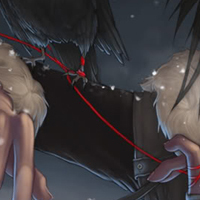 A nice note might be that I use Adobe products for most of my artworks. In the past I also made a lot of with MS Paint before I could afford a adobe licence. I you want to create software you need software. I don't have a preferred development platform. But in most cases working on a platform that is closest to the end-user is best for web-development. But I develop just as easy for windows as I would do for Apple or for a Linux kernel. As code editor I currently use NetBeans as it allows me to code in php, java, C and ruby at the same time with one IDE. In the past I also used Vim, RubyMine, UltraEdit, Aptana, Dreamweaver and PHPEdit. An editor is not everything you need during development, management tools are just as important. I have worked with different tools like the Atlassian collaboration tools and the collaboration tools by 37signals. Things like Bugzilla, Mantis and Trac are not new to me. And of course I'm familiar with SVN, GIT and Mercurial. Regularly I do most of my programming on or for the web. I do have some experience with "desktop" application programming. I've mostly worked on already existing code. I worked with MS Visual Studio, Adobe Flex (I know that is kinda cheating) and Java. 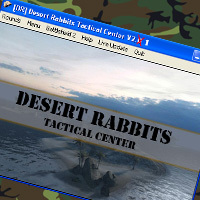 On your right here you see a tactical planner we use in my gaming clan the Desert Rabbits. This is used as an internal tool to plan matches and hand out tactics. It is written with the help of MS Visual Studio and I co-develop on that project. Other things I have done for the desktop are a couple of games in Java and Flex. I also created a couple of tiny games in the Java library processing (can be used on web and desktop). 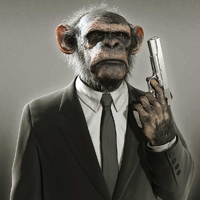 I might not be a monkey in a suit but I do know something about managing an IT project! I've done low level team management for a couple of projects and I have a bachelor in IT that includes all basics in project management. I extended that with more in depth knowledge about development management methods. I'm schooled in the more classical management styles like PRINCE 2 and ITIL but my personally preferred management methods are more likely to be found in the agile corner of the spectrum. I prefer a more loose type of project as in most software development processes you can never completely predict the path of a project. I have managed projects with extreme programming, Scrum, PRINCE 2 and smaller projects with Waterfall and Cowboy. I understand most of the benefits and the pitfalls of these methods and I can help determine what method to use. For an engineer lessons from the past are very important. In software engineering that is the same. 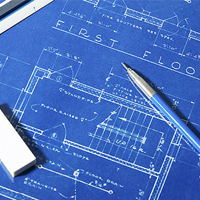 Architectural and design patterns provide software engineers with principles to build software on. I am schooled in the basic design patterns but I also discovered them before I was schooled in them. At a fairly early stage when I started programming I discovered my own version of the Model View Controller design pattern. During the classes I found a lot of patterns I already was familiar with. What the class did do was enable me to work on some of my own ideas. Writing the book instead of reading it. I have used these skills on the CBAC project as well as for a content management system in PHP. 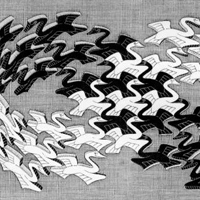 Both used new ways to interpret already exiting patterns into something new. Language is important to me. I'm not specialized in reading and writing but I do my best to try to understand and speak a language. I collect international swear words as I like variation in my swearing ;-). 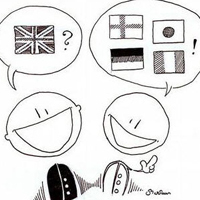 My native language is Dutch and from school I had English, German and French. The last was not my favourite and not my best. English has almost became second nature to me due to my work and of course the presence of it in the media. German is a language I learned mostly from the holidays at family friends in Germany. Other languages I picked up along the way are a bit of Danish, Japanese, Chinese and Spanish. I even improved my French but do not get your hopes up. I don't speak every language perfectly. It will still be mostly be English as a main language. Designing logo's and PR statements might not be what I normally doing. But I still do it! Logo design incorporates all techniques from normal design but with a twist. My logo work is almost always part of a bigger project, just an extra service that can be used for your project. Most of the design work that I do professionally is web design work. I do complete website layout designs, re-designs and new partial designs. My designs are personalized and specialized for the specific needs of the clients. In my spare time I do some drawing of my own. I do this mostly for myself and sometimes I do commissioned pieces for people I know. As a designer I do not poses one specific style and I only rarely do work directly for clients. I use my skills mainly to work with artists on commissions for my clients. 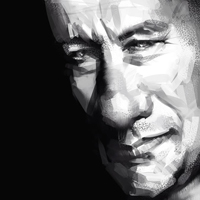 My insights allow me to improve the results by assisting the artist and combining it with other design skills. Something really useful I taught myself was photo manipulation. Although I started working on artistic works in my spare time I found it useful in my professional work as well. For my clients I can adjust and improve pictures for their designs. I still do artistic work on commission but that is not my core business. I just bring this skill with me to the jobs I do. Hacking has such a bad reputation. That while the definition of the verb 'to hack' in technology means: 'the re-configuring or re-programming of a system to function in ways not facilitated by the owner, administrator, or designer'. This is a lot softer definition than the common security thief. 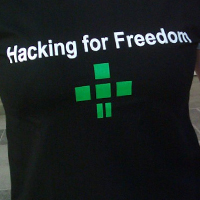 Hacking for me is more of a method I use to invent new things. I use libraries and API's and try to hack together something that was not intended by the creators. This way I find new applications to build and in the process can help to develop the API or library itself. I'm also somewhat of a security hacker, so I do fit the cliché a little bit. I do some work in security consulting but this is not my core business. I do provide security consults and of course I take my experience with me to every project. For the people who do not know what usabillity is. 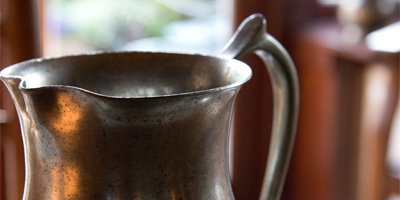 It is the science behind the interaction between object and user. 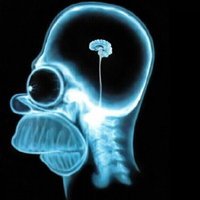 To be more specific, it is the science behind how that user experiences that object. Maybe a bit to conceptual, but in short I can help improve efficiency and user experience of your software. Usabillity is a bit part of my speciality. I have studied different fassets of human computer interaction design as a science. I am well read on the theoretics but I have also done UX research on users of a higher age group. The research was to get a deeper understanding how elderly users would preceive information on a website and how we could improve designs of several websites to accomodate the elderly. What I can bring to clients is knowledge about interaction design for web and knowledge about the cognitive processes that allow us to use those interfaces. As hobby I do some photography, mostly objects and sometimes portraits. I own a Canon EOS 60D for personal and commercial use. I can provide in the basic photography needs for clients but I mostly work with professionals for clients. Every front has a back. That is the way I got started with back-end programming. 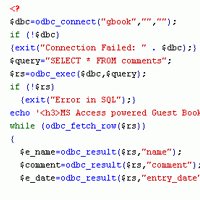 I started out but re-programming a content management system from ASP to PHP. This got me interested in doing more back-end work. 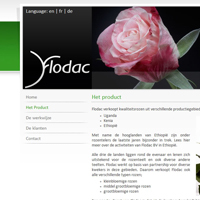 Later I started to create my own website CMS as a self teaching project. Since my first connection to the back I have been moving to the middle. Started as front-end developer and grew myself all the way back. 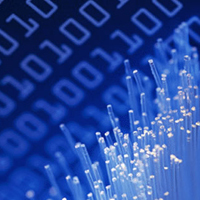 This allows met to provide a full service for web-development. If we are talking about languages. You've ready I've done some stuff with ASP and PHP but I also do other languages. I have done small projects with ColdFusion, Perl and Python. I have been working on several larger projects in Ruby on Rails. This also sparked other smaller projects in Rails. I'm a fast learner so anything goes! 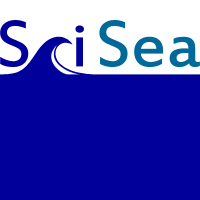 SciSea is an experimental UI prototype for a scientific search engine. The project was initiated by a university project that was looking at scientific search engines like Google Scholar and Scirus. The project was coded in a few days but a lot of reasearch went before it. We created paper protoypes of the search engine and its options, we made trial versions of the design and we did literature research on search engines. Currently the code can be found at the project page on Google code. The code is freely available and is licenced under the GNU General Public License v3 licence. HTML might not seem one of those languages that really matters. But HTML might be easy to learn, but it is actually hard to master. Doing simple stuff is easy, getting it to work is not really hard. But to get things working properly, symantically correct and accesible is not. I pride myself in being someone that really understands the DOM and what the different elements do in different browsers. 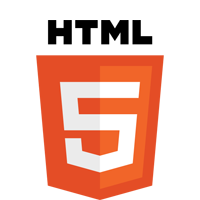 Combined with CSS I am able to create well formed, accesible and maintainable HTML for any type of website. 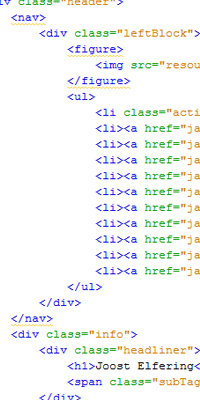 As a HTML programmer I do not only work on "current" versions of HTML. This page is actually written using HTML5 and CSS3 technologies. I have been getting myself involved in the HTML5 discussion. I can work with the newerst technologies and allow them to have a gracefull fallback. If you ask a developer to do CSS they point to designers to take care of it. If you ask designers to take care of the CSS they point back to the developers. 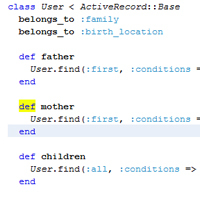 It has always been kind of a lost child in web programming. Therefore it is one of the most neglected areas in any web development process. 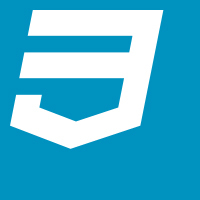 As a full service web-developer I did take on the challenge of CSS. If your talking CSS most people directly think about the browser issues, and yes that is a big part of what you need to know. But you can take it a lot further than that! CSS is also about graceful degradation with CSS3, object oriented CSS for maintenance and just being clever about styling solutions. Part development, part design. Processing is something I just picked up along the way. It is a Java library that is generally used for scientific and art projects to do graphical and sonic representation of data. Just like regular Java you could do anything but it is mostly used to create small applets. It is easy to write and understand. For a class of starting programmers I used this language to teach them the basics. I used it to create small games, create prototypes for interactions and I created a sonification project by combining it with Max/MSP. 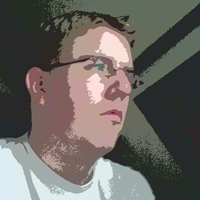 Next to work in native Processing I have also done several projects in Processing.js. This is a browser ready version of the library. 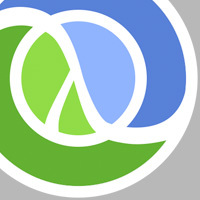 I picked up clojure fairly recently as an additional language to my arsenal. I've been working with it in the past but never got beyond the basics. Recently I had the time and need to expand that horizon. I've used it to build some musical experiments before but recently I've done some work in API's. I've had the opportunity to make some small contribution to a clojure project and I've done a couple of months worth of work with it but it is by far not my main language. I am however interested in getting to know the language a little bit better. What interested me was that it is a functional dynamic language based on the JVM and therefore has some very interesting uses. As a dialect of Lisp the syntax was not new to me but the use of macro's. A fresh set of tools, paradigms and ideas to get inspiration from. I needed a simple and slick plugin that turned titles into slick looking hovers. 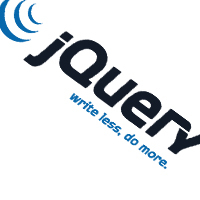 I used jQuery to get a fast and easy result. The plugin basically turns a title of a link into a nested span inside that link. That nested span can then be styled with the use of CSS and there are some options. I created a project page for the project and there is a jQuery plugin page together with a google code project page for source code version control. 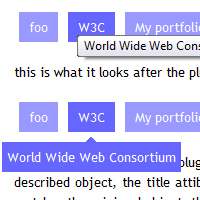 During the development on another project I was in need of a good tag editor. 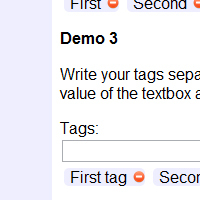 One that provided a nice interface that could be used to add tags to an object. I found that in the jQuery plugin by Karl-Johan Sjögren best suited my needs. The tag editor did have some issues at that time and it was not exactly doing what we wanted. Solution? Contribute to the project, so I did! I implemented a giant list of features. New options, a lot of issues solved and a new version of the plugin was born. I even got the origional contributer to do some compiling work to improve the packaging of the plugin. At this time Karl-Johan Sjögren is maintaining a project page and the jQuery plugin page. 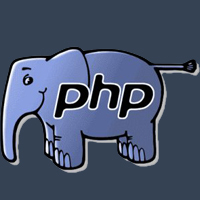 PHP was my first love as a web developer. One of the first things I did was translate an ASP website into a PHP. This website was pauze.nl. This sparked me to create my own content management system. I have used this system for a couple of my clients that are still happely using it. I am very aware of what PHP is usefull for. It is a great quick development tool, simple, slick but a bit crude at some points. 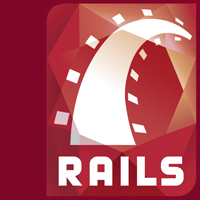 Ruby on Rails are the language and framework I currently use most. Why? Well, it's fast in development and allows for a very agile approach. It has a very nice community behind it and has a nice test-based development culture. I've done several larger project with it and several smaller ones. So why the 'Ruby (on Rails)'. Well, as I started out with Rails 2.3.x I also got to learn Ruby a lot better. I've done work outside of Rails with just Ruby and I found myself drawn into the language more than any other language at that time. Both the framework and language have been working well for many different projects. I use Rails mainly for most my standard websites and I'm experienced with gem building. Authentication, asynq websites, inline-editing, searching and many other common web-paradigms I have build with up to the latest version of the framework. 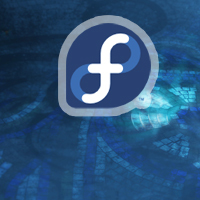 The Fedora Project is an open source project that that builds a linux distribution based on the same sources as redhat. One could see Fedora as the forward branch of redhat as many developments that are done in Fedora are ported to redhat. Redhat then puts a special sauce in the mix and ships it. My personal involvement is not so much technical but more of a community organizer. Looking for people who cuold maintain packages for me, talking with people about new releases and what I needed to be in it. On the other side I did some conceptual design work for the releases. Every release needs to have a wallpaper, a poster and other things that come with a new release. Currently though I'm not really active within the community due to time and space continuum issues I'm having. 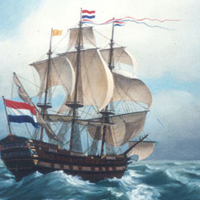 Just like the history of the Dutch tells us I like ventures and the unknown. I'm a traveler so to say. Although a solid job might sound tempting I prefer a job with a challange. I like projects that go to that extra level and provide me with more then just another job. I like my career to be interesting. 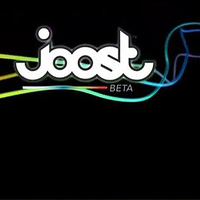 I have already found one of those ventures in Joost Technologies. But like all journeys they will end, Joost a bit pre-maturely but I still had a blast! I'm always on the lookout for new ventures and I am always open to suggestions. If the project is interesting, the pay is good enough and it is an interesting environment I will probably be on board for the full 100% and more! Ventures? Projects? give me a ping if you have something interesting for me! I am cursed by being a son of two teachers. Teaching has always come natural to me, not really sure why but it probably helps that I have the genes for it. My father ones said that being a teacher is turning talking into a profession. Teaching classes and giving training courses is not my main purpose in life. But I do believe that knowledge is power and sharing is wisdom. I trained small groups in companies and small groups schools. I did some work as a teaching assistant when I was at the university. Talking in the 30-45 minute conference format is also what I've done for companies, open-source groups and even at the university. In need of a conference speaker or a small training course? Contact me and we can talk about the details. 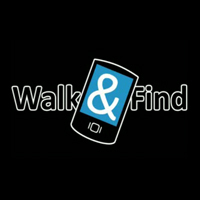 Walk & Find is one of those conceptual projects that was ahaid of the curve. We were talking about localized social and commercial information on your mobile about 2 years before Foursquare became public. The project was the result of a school project for my Bachelor degree. The basic idea of the project was to think of, design and develop a product from start to finish in half a year with a group of 4. We started out with an idea of localized commercial and social messages on you phone. To make the project practical and more fun we implemented it for a local amusement park. 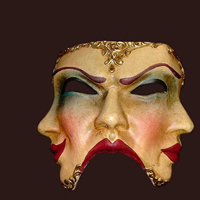 My role within the team was a technical and conceptual one. That combined with the graphics I created we made an application and a funny "making of" video. A great project with a lot of fun factor and... Hate to Say I Told You So! 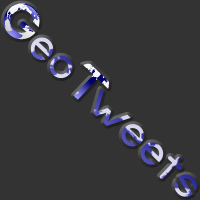 GeoTweets has been an experiment to combine twitter and maps. Normally one would have twitter messages shown on a map that are from that location. We turned that around, we wanted to know what people were saying about a location. With this idea we started out working on GeoTweets. GeoTweets has been a project by Peter Curet, Veneta Andersen and myself worked on the concept. Graphics and research were mostly done by Veneta. Peter and I took the application under our wing. The code can be found on the Google code project page. It is based on Ruby with rails 2.3.5 and some gems to do json and other stuff. Using the Google maps API a click is captured and a location is derived from that. From the location a search query is send to Twitter retreiving the location records. Ever had one of those feelings where you would see an application somewhere and you think to yourself. I can do that better! The Snooker ScoreBoard is one of those projects. I found a touch application to keep score in a game of snooker at my local snooker club. Only problem... it was a commercial overweight system that cost the club way too much money. Solution, create a web-application to do it in a light weight way. Goal for me was to create an easy to use, web-based and free to use scoreboard application for phone and tablet use. 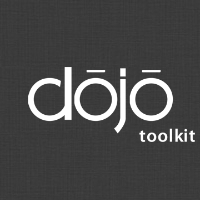 Currently it is under development based on the HTML5 boilerplate and Dojo Toolkit. I created the website status messenger project because I had to face the same problem several times in the past before. 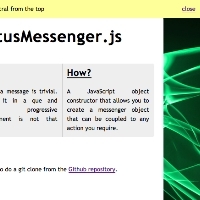 How to display system messages on a web-page with nicely formatted and animated way. I almost always came to about the same code with some slight differences in implementation. Solution; create a open-source library to do it in the future! In my experience libraries used can vary as well as the type of styling and animation required. Almost always a que was involved and it had to be progressively enhanced. So, I set out to create a flexible framework instead of just another plugin. You can read more on the about page on the right.